Make dreamy skin a reality in one simple step with the Sugar Ace of Face Foundation Stick. Lightweight, creamy and beyond easy to blend, its long-wearing formula offers coverage that not just looks good but also feels like second skin. This handy stick blurs away enlarged pores, fine lines, dark circles, blemishes and more… so there’s really no excuse left for you to flaunt anything less than picture-perfect skin. Get ready to make a permanent place in your makeup bag for this magic wonder and score sheer-to-full coverage without looking cakey every single time! Designed to be applied on the go, cut short your routine and pop this in to your everyday handbag. Stripe it on your T-zone, underneath your eyes, your chin and follow up by blending it outward with the built-in brush. Apply directly from the stick onto your complexion and build coverage as needed. 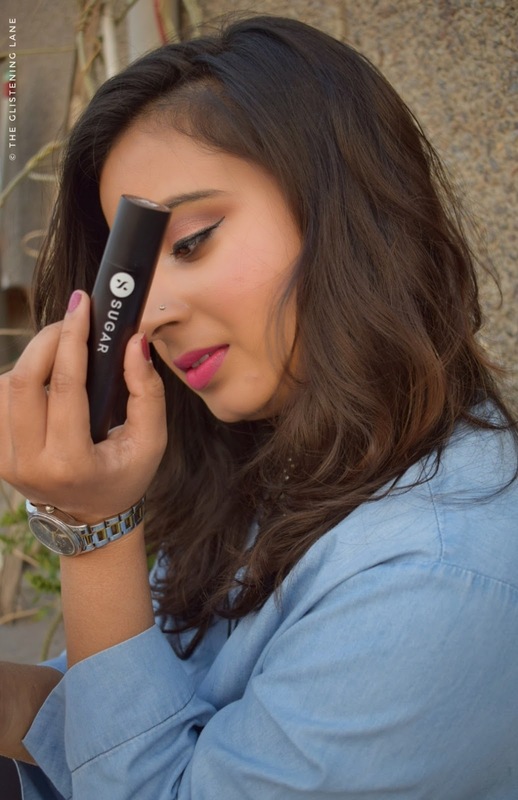 The luxurious brush-end is especially handy for buffing the product out and touching up uneven spots. Use it all over to even out your complexion or use it as a touch-up tool by applying a dab or two to problem areas. 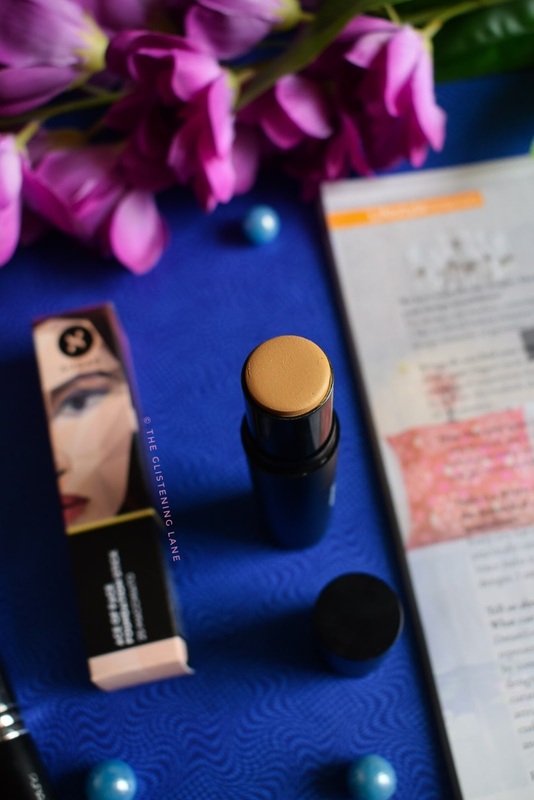 A little goes a long way with this foundation stick - thanks to its unusually high pigmentation. The full-coverage, waterproof formula offers a totally matte finish that lasts for up to 12 hours. Weightless when applied, the handy built-in brush makes it uber-easy to blend the product in or touch-up spots. Enhanced with moisturizing ingredients, this multipurpose stick can be utilized as a medium-to-full coverage foundation or concealer as needed. This product is dermatologically tested & approved and 100% safe for your skin. Titanium Dioxide (CI 77891), Phenyl Trimethicone, C12-15 Alkyl Ethylhexanoate, Caprylic/Capric Triglyceride, Iron Oxide Yellow (CI 77492), Ethylhexyl Methoxycinnamate, Euphorbia Cerifera (Candelilla) Wax, Ceresin, Polyethylene, Pentylene Glycol, Vp/Hexadecene Copolymer, Polyglyceryl-2 Triisostearate, Iron Oxide Red (CI 77491), Methyl Methacrylate Crosspolymer, Ozokerite, Mica (CI 77019), Talc, Silica, Triethoxycaprylylsilane, Aluminum Hydroxide, Lauryl Peg/Ppg-18/18 Methicone, Microcrystalline Wax, Phenoxyethanol, Iron Oxide Black (CI 77499), Caprylyl Glycol, 1,2-Hexanediol, Ethylhexylglycerin, Macadamia Seed Oil Polyglyceryl-6 Esters Behenate, Lauryl Laurate, Propanediol, Dimethicone, Isostearyl Alcohol, Illicium Verum (Anise) Fruit Extract, Methicone, BHT. 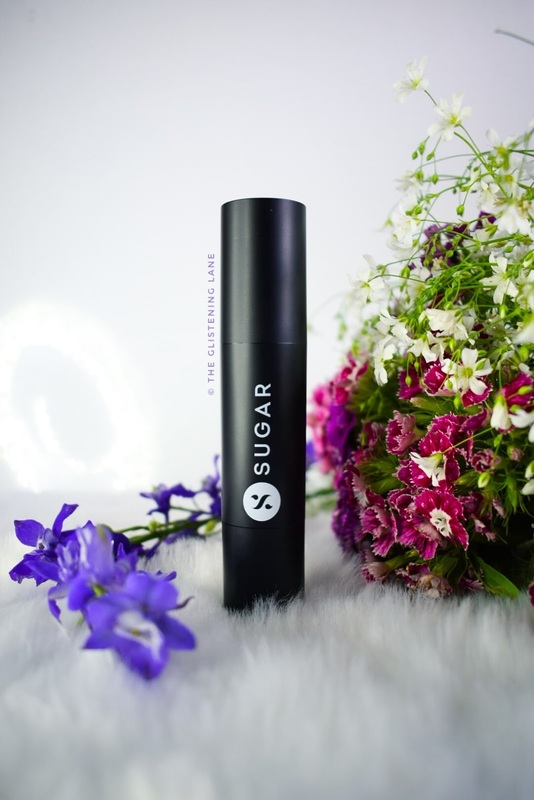 Sugar Ace of Face Foundation Stick comes is a matte black cylindrical packaging which has a buffing brush at one end and foundation stick at the other. You can take out the required amount of the base makeup using the retraceable side without any possible product wastages. Since you aren’t using your fingers directly, there are least chances of transferring bacteria onto the facial skin. Also, the sleek packaging makes it all the more feasible for being tossed into the handbag while you are on the go. Lastly, you have a brush with you, so fewer things need to packed when you wanna shoot outside or head for a friend’s wedding. When it comes to application, the foundation stick glides smoothly on the skin without pulling or tugging at the skin. I’ve not really tried fingers to blend it out, as I have managed to collect an abundance of foundation brushes; however, foundation blending with a brush is magical! It does not require a lot of time or product and it makes the skin appear flawless. 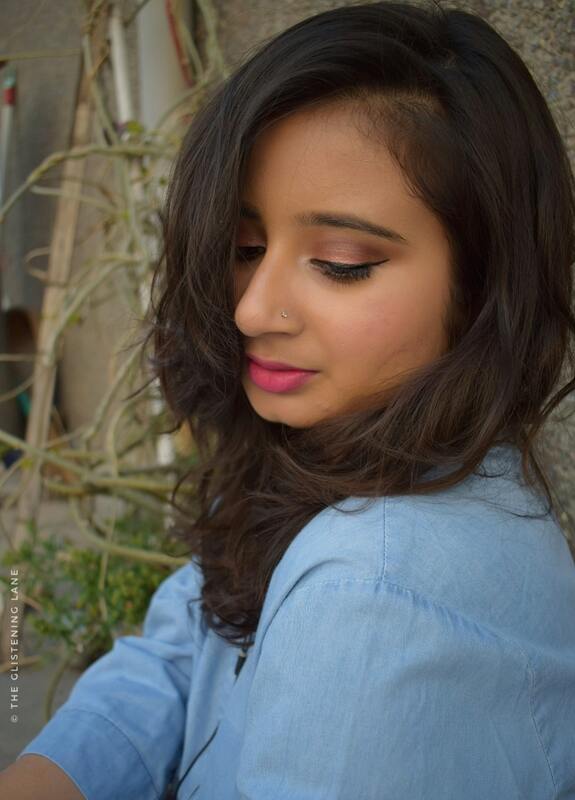 Thus, the foundation gets easily blended and it sets into a somewhat semi-matte finish. You can completely customize the texture by either applying tons of cream beneath your foundation or using a setting powder to get a completely matte effect. For this time of year, I prefer it semi-matte but with the temperature rising, I will definitely set my base using some powder. 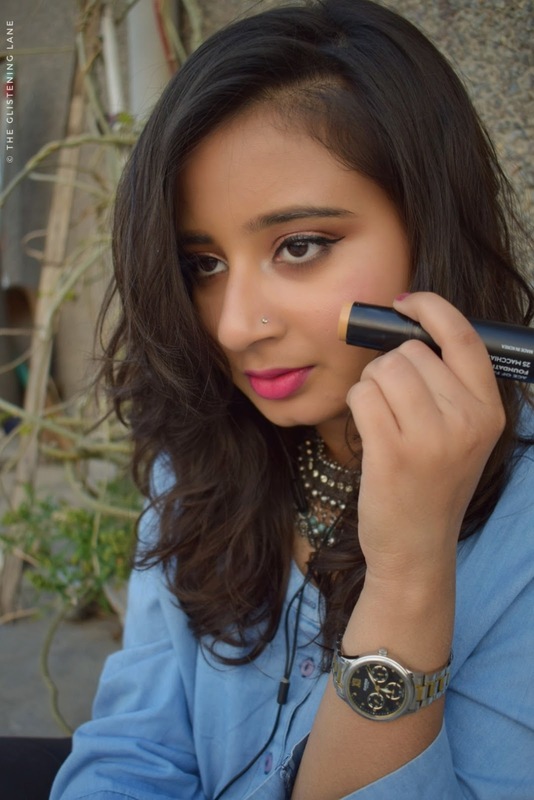 One thing which I absolutely love about this foundation stick is the coverage that it offers. You can completely turn your base makeup from medium coverage to a full coverage one with just a couple of strokes. 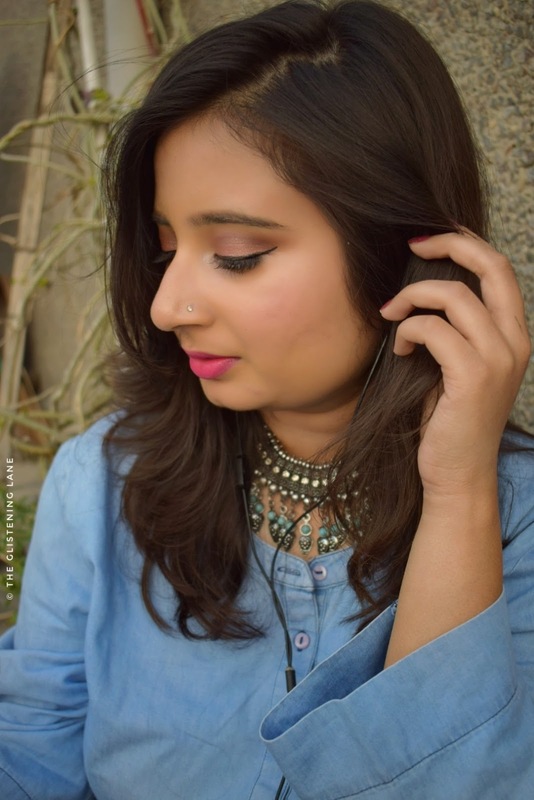 In short, the coverage of this foundation is buildable which is definitely a bonus! Also, I’ve tried two coats of the foundation in order to hide my imperfections and it didn’t appear cakey as well!! 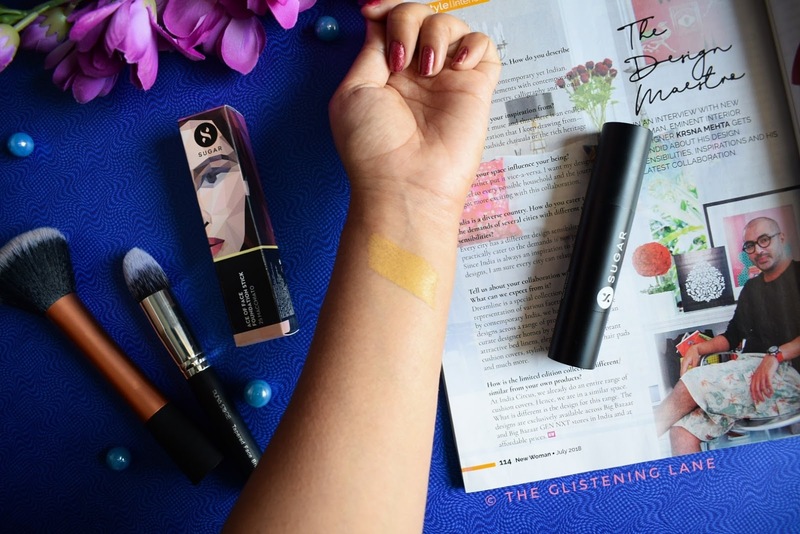 If you have a budget of INR 1,000 albeit a combination/oily and acne prone skin, then you should definitely invest on this foundation stick for sure! !